Expect Responsive, Attentive and Exceptional Service. Working together as seasoned real estate professionals and service providers, we provide our clients peace of mind throughout the entire purchase or sale process. From in-depth consultation & home selection to negotiation & financing, our group of affiliates, brokers and lenders work together to facilitate the important process of satisfying our clients real estate needs. Coldwell Banker has experts in all areas of real estate as our trusted partners provide mortgage, title, escrow and many other important services. Our group of real estate professionals apply a wide range of innovative tools and methods, allowing us to serve home buyers and sellers in a way that is truly unique to my team here at Coldwell Banker. Matching buyers & sellers in the Coachella Valley real estate market. 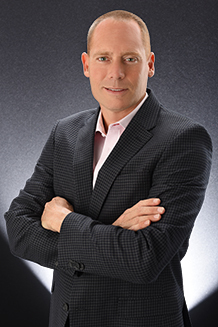 My name is Michael Lazovsky, I’m a Realtor® with Coldwell Banker in Indian Wells, California. My Team and I work directly with home buyers and sellers and focus on real estate exclusively here in the Coachella Valley and the Mountain Center areas of Idyllwild California. We have compiled a significant amount of helpful information to assist you in buying or selling your home, so please reach out to myself or my team and we will help you with your real estate needs. With over 20 years of experience founding and operating a successful media production company here in the Coachella Valley, I know the meaning of dedication. I’ve enjoyed working with people over the years, and I have made a lot of friends along the way. Myself and my Coldwell Banker team provide superior real estate services to our clients, buyers and sellers alike. We are ahead of our competitors in the utilization of state of the art marketing technology and we are continuously striving to apply advancements in our abilities for the benefit of our clients. I bring a fresh and innovative approach to my clients which makes me stand out, and more importantly, allows me to more effectively market my clients properties. My goal is to exceed your expectations and provide outstanding customer service through good communication and followthrough. My Team serves the entire Coachella Valley, but I primarily focus on helping clients in Rancho Mirage, Palm Desert, Indian Wells, and La Quinta including the beautiful hi-elevation areas of Mountain Center and Idyllwild California. As your dedicated Real Estate Professional with 40 years in the desert, I will be involved in every stage of the process to ensure important tasks are completed in an efficient manner and that you are completely satisfied with the purchase or sale of your property.